Preparation: build over in a shaker filled with ice, shake well and serve in a cocktail glass. Golden Dream was created in the 60s by Raimundo Alvarez, at the ‘Old King Bar’ in Miami Florida. The cocktail was dedicated to actress Joan Crawford and became quite popular at the end of the 60s in the east coast of the USA. Joan Crawford born Lucille Fay LeSueur was born in San Antonio in 1904 and died in 1977. She was an American actress and won an oscar. She married four times and adopted four children but died alone. 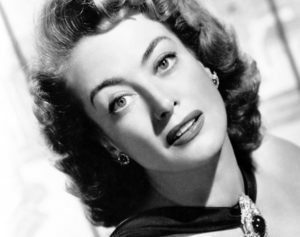 She starred in Grand Hotel and Johnny Guitar. Apparently her face inspired the Evil Queen, Grimhilde, from the Disney movie ‘Snow White and the seven Dwarves’. The Golden Dream appeared in the IBA archive from 1987 and 1993 with the recipe in quarters (1/4 Galliano liqueur, 1/4 Cointreau, ¼ orange juice, ¼ milk cream) and in tenths ( 4/10 Galliano, 3/10 Cointreau, 3/10 orange juice, 1 tsp milk cream). The recipe was confirmed in the last list, except for the Cointreau, replaced by Triple Sec. The Golden Dream is actually a variation of the famous Golden Cadillac (1/2 oz. Galliano, ½ oz. White crème de cacao, ½ oz. Milk cream) removed from the IBA list after 2010. Behind every IBA international cocktail there is not only just a recipe, there is a history, a character, a legend, making the drink everlasting in spite of the passing years. This is not a simple collection of immutable recipes, this is a book that will take you on a backwards journey through time. This book will make you discover the basics of the art of mixology, handed down by people like Jerry Thomas and Harry Craddock. 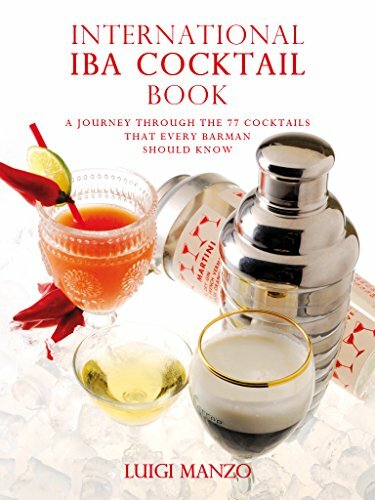 This work refers to the last IBA list and the history of each cocktail comes with its recipe.